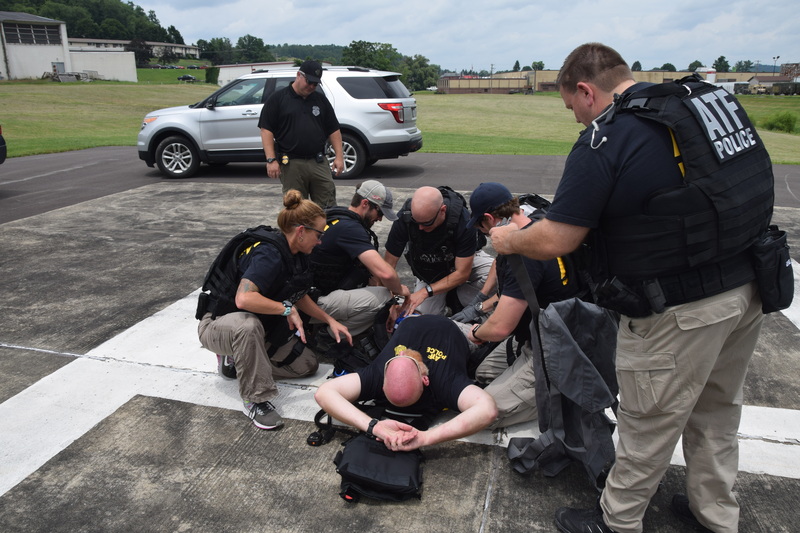 More than 25 law enforcement officers held a training exercise with HealthNet Aeromedical Services, a critical care transport agency, in Buckhannon yesterday, preparing for a worst-case scenario – treating and evacuating a critically-injured fellow officer. 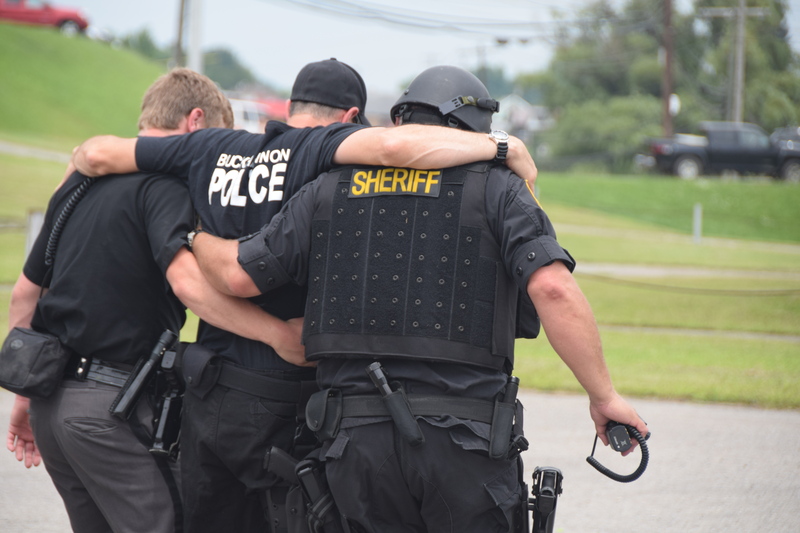 The exercise, hosted by the Buckhannon Police Department, also included Bureau of Alcohol, Tobacco, Firearms and Explosives (ATF) special agents, deputy U.S. Marshals, and Upshur County sheriff’s deputies. Healthnet personnel first conducted classroom training, instructing officers on communicating with their aircraft, set up landing zones, and safely load an injured patient aboard the helicopter. 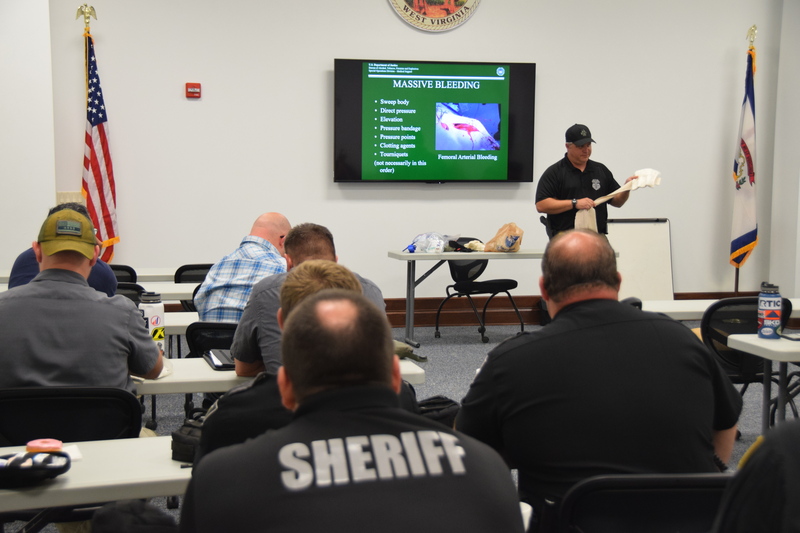 An ATF tactical medic also provided refresher training to the officers on the fundamentals of bleeding control, tourniquet usage, and the principles of medical care under fire. 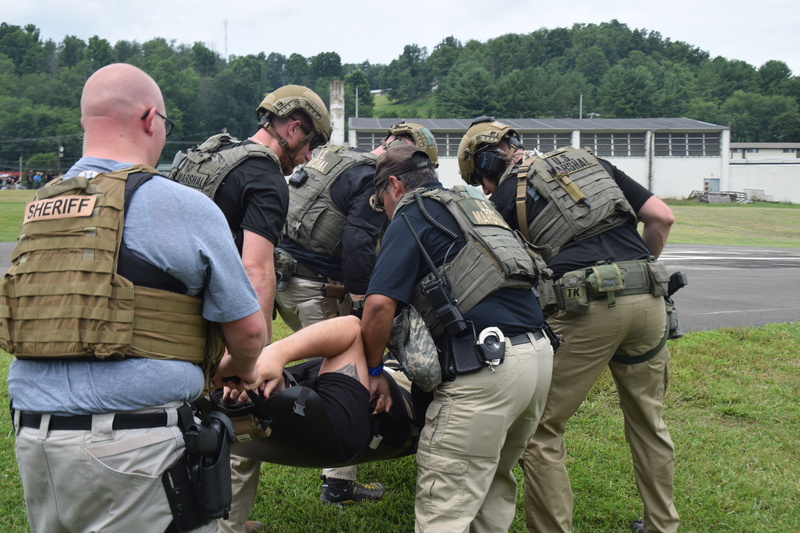 After the classroom training, officers conducted training scenarios at the Buckhannon Armory with HealthNet personnel, simulating “officer-down” situations requiring immediate medical evacuation.